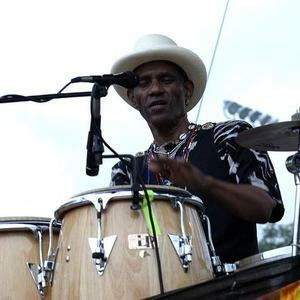 Cyril Neville (born in New Orleans, Louisiana, October 10, 1948), is a percussionist and vocalist who first came to prominence as a member of his brother Art Neville's funky New Orleans-based band, The Meters. He later joined Art and his other siblings Aaron and Charles to form The Neville Brothers band upon the dissolution of the Meters in the late 1970's. The youngest, and most politically outspoken of the brothers, his lyrics often contain themes addressing racism, injustice and social issues. In 2006, Cyril Neville toured with the Louisiana Voice Of The Wetlands All Stars."